Dr. Abe's philosophy is to provide you with the best in care that is possible. He is also conservative in his approach to surgery. He tries to avoid or limit surgery as much as possible. However, if a surgical approach is the best way to achieve our goal of maintaining your teeth, he will not hesitate recommending it. 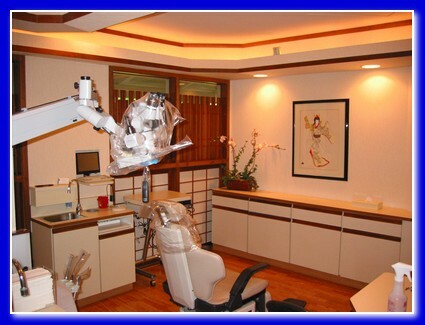 Dr. Abe utilizes a surgical microscope designed especially for dental surgery and treats using Microsurgical Techniques. When performing surgical procedures his objective is to limit the surgical field and surgical trauma as much as possible. Smaller incisions and limiting the surgical field allows you to heal faster making your recovery more comfortable. Periodontal Microsurgery over traditional periodontal surgery is that the surgery is done utilizing magnification (the microscope) and Microsurgical techniques. This results in smaller incisions, less trauma and more precision. Periodontal Microsurgery also allows me to see minute problems that would normally be missed without the advantage of the surgical microscope. Smaller and more delicate instruments are used. Since more delicate and exacting procedures can be performed I feel I obtain better results both aesthetically and technically. All this adds up to better results, faster healing and a more comfortable periodontal experience for you. Periodontal Microsurgery gives you the advantage of the highest quality of care available today. That is why we are proud to give you that advantage. Contact us for an appointment today. Our surgical suite is designed to create an environment to make your visits as comfortable as possible.